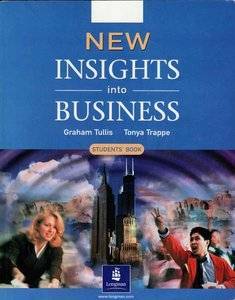 With challenging reading and listening texts from a range of authentic business sources, New Insights into Business will really engage students. The thorough language and vocabulary syllabus together with the strong focus on business skills development gives students everything they need to function effectively in the workplace. You can be sure of systematic progress with the solid language and vocabulary sections, including American English business vocabulary. Easily focus on BEC Vantage or TOEIC with two different workbooks, each one covering a particular exam. • Students will be motivated by real business reading and listening material from a range of authentic business sources as well as the thorough business skills section. • You can be sure of systematic progress with the solid language and vocabulary sections, including American English business vocabular. • Easily focus on BEC Vantage or TOEIC with two different workbooks, each one covering a particular exam.